The Xerox ConnectKey for SharePoint is no longer sold as new. Even in this digital age, many businesses continue to struggle with ways to manage all of the paper documents that are created or arrive by mail or fax on a daily basis. Many offices employ complicated, multi-step processes to get these documents captured so they can be archived in document repositories like SharePoint or Windows folders. One reason may be because some businesses still believe that document workflow automation is too costly, complicated, and time consuming. 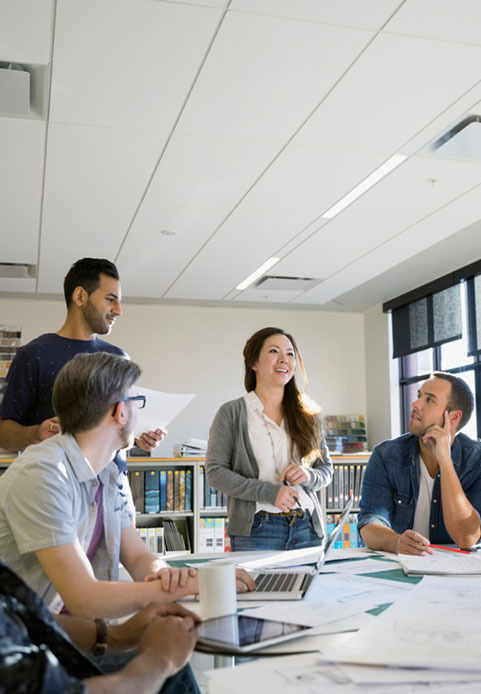 Xerox ConnectKey for SharePoint changes all that, providing a highly productive workflow solution that easy to setup, easy to use  and even easier on your budget. Xerox ConnectKey for SharePointsimplifies and streamlines the way you scan, capture, and store your paper-based documents. Using your Xerox MFP, you can route documents directly into the precise document repository folder, just like you would from your PC. At the MFP, you can browse to the folder, name the document, and add any key indexing information before you scan. With the flexibility to capture and route to SharePoint as well as Windows folders, ConnectKey is the right solution for any office that needs to archive and share paper-based documents. Easy configurator-based setup gets you up and running quickly. The setup routine lets you view your SharePoint and Windows folders and with a click of a mouse, and adds them to the user interface panel of your Xerox MFP. Full integration with your SharePoint environment so the user experience at the MFP replicates what users see at their PC. Greatly simplifies your document capture and routing workflows with dynamic folder browsing so your documents can be named, indexed, and sent to the desired location right from the MFP. Supports the intuitive "Scan to Home" workflow, enabling office workers to scan to their "home" directories. Ideally scaled for small to mid-sized businesses. Create fully text-searchable PDF documents as you scan so business-critical information can be found for customer inquiries, compliance audits, or anything that requires the quick and accurate retrieval of information. Accurately digitise your legacy Microsoft Word and Excel files to save time and improve document collaboration for your office personnel. "Ready-Now" workflows ensure that your MFP is always up to date. When changes are made to SharePoint or Windows document repositories on your server, the changes are made automatically at the MFP. Maximise your hardware and SharePoint investments, using your Xerox MFP as the direct conduit to your preferred document repositories. Your MFP will have no limitations to the number of scan destinations you can enable. Works with SharePoint 2007 and later environments. BLI named Xerox's line of document imaging solutions, including ConnectKey for SharePoint, their Winter 2015 Pick for 2015 Document Imaging Solutions Line of the Year. "For the second year in a row, the broad range of solutions Xerox makes available to its customers helped propel it to the front of the pack among imaging OEMs according to our judging criteria." The most common challenges associated with paper-intensive environments are high costs, errors, difficulty with compliance, and recreating older documents. Recent industry data tells us that with all the new ways we have to create digital content, our offices are burdened with more paper than ever, and many offices struggle with ways to manage and organise it. Most offices don't have a direct link from their MFPs to the desired document repository, resulting in an error-prone multi-step process which is time-consuming and costly. Scanned documents are typically non-searchable PDFs, which makes it almost impossible to find business-critical information when needed. More and more industries are faced with complying with government regulations which necessitates the easy retrieval of key information  this is nearly impossible with paper-based documents or unstructured digital documents. The need to repurpose older paper-based documents usually means starting from scratch using your PC to recreate the entire document which is time consuming and costly. Unlike many competitive solutions that route to multiple document repositories, ConnectKey for SharePoint was designed specifically with the SharePoint user in mind. ConnectKey for SharePoint supports single server SharePoint® environments with an on-premise install. Hosted SharePoint or SharePoint deployments with more than one server (e.g., a server farm) are not supported by Xerox ConnectKey for SharePoint.